Atlanta Insurance Restoration | Home repairs from fire damage, storm damage, tree damage, water damage | Paragon Construction, Inc.
Storm damage caused by tornadoes, hail, and ice storms can run the gamut from being very minor to very severe. It’s important that measures be taken immediately to minimize additional storm damage. 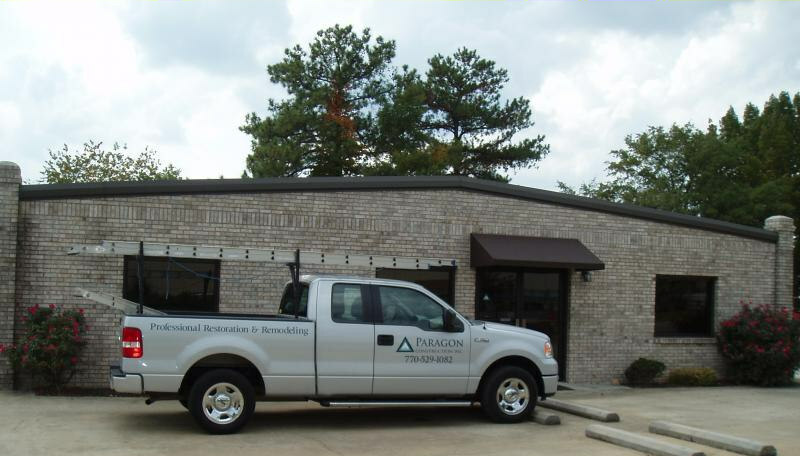 From tarping your roof to boarding-up window openings, the insurance restoration contractors at Paragon Construction are 24 hours a day. Water damage is a common problem for homeowners and you need a professional insurance restoration contractor.Water damage can happen due to weather, broken pipes, ruptured water lines (i.e., washing machines, dishwashers, ice makers, sinks, toilets) or from major fire extinguishing efforts. In addition, the longer the water sits, the worse the water damage becomes. Tree damage is a common problem for homeowners and you need a professional insurance restoration contractor.Tree damage can happen due to tornadoes, ice storms, hail, wind, and rain. Insurance restoration companies that immediately address water damage can often save homeowners hundreds or thousands of dollars in repair costs. It’s every homeowners worst nightmare. Every year, thousands of homes suffer from fire damage, soot damage or smoke damage. If this happens to you, it is critical to contact a insurance restoration company that is experienced in fire damage restoration as soon as possible to prevent additional damage. 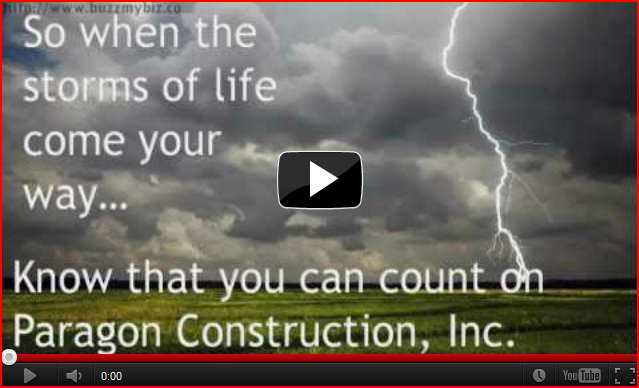 Paragon Construction, Inc. specializes in insurance restoration. With over 18 years experience in the industry we work closely with the insured to offer all necessary resources to assist them in restoring their property. Fast, comprehensive estimates using Xactimate with 27 years construction experience and quality craftsmen allow us to provide seamless loss management. Our staff is dedicated to excellent customer service. With 18 years in the insurance industry, one call is all you need and we can assist in the claims process and complete the repairs. We are fully licensed and insured. A special thanks to Paragon and there crews as they were always friendly, respectful a pleasure to talk to and deal with. We love our new home with its fresh paint and new walls. Thank you so very much for all of your time and efforts to repair our home and get it ready for us to live in again. I want to thank you, Michael, George and the rest of the team that fixed my dining room. It looks great, I really appreciate your quick response to my calls. It has been a pleasure working with you and your team. Thanks so much for your help. I especially grateful for how easy you are to work with, how calmly you handled all the moving parts (and knew which parts to move). Thank you for your attention to detail, and for your validation of my concerns. I can see your experience could have been a much greater challenge than it was, and I feel blessed to have had you work with me. On March 14, 2008 I had a fire in my home. Most of my house and all my belongings were destroyed in the fire. I was not familiar with the process for rebuilding. Paragon helped me every step of the way. They seemed to never grow weary of my phone calls. The “we can ” attitude really encouraged me and helped me keep an upbeat attitude about this whole tragic event. I am so appreciative and thank you so much for your wonderful and excellent customer service for the water damage on my Marietta property. Your staff did suce a nice job. Paragon Construction, Inc. © 2019. All Rights Reserved.